Bad Reputation (Black) on Speckle Tone Paper. 18 x 24 inches. Signed by Shepard Fairey. Numbered edition of 350. SOLD OUT. 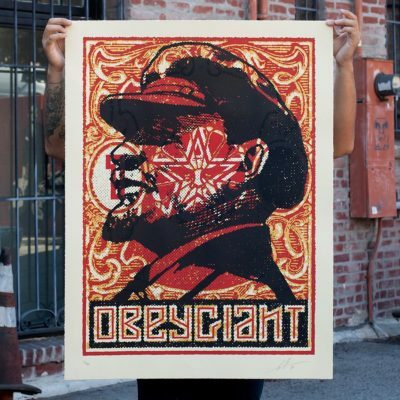 Available Tuesday, January 29th @ 10AM (PDT) on ObeyGiant.com in Store under Prints. Max order: 1 per customer/household. Multiple orders will be refunded. International customers are responsible for import fees due upon delivery. Bad Reputation (Cream) on Speckle Tone Paper. 18 x 24 inches. Signed by Shepard Fairey. Numbered edition of 350. SOLD OUT. 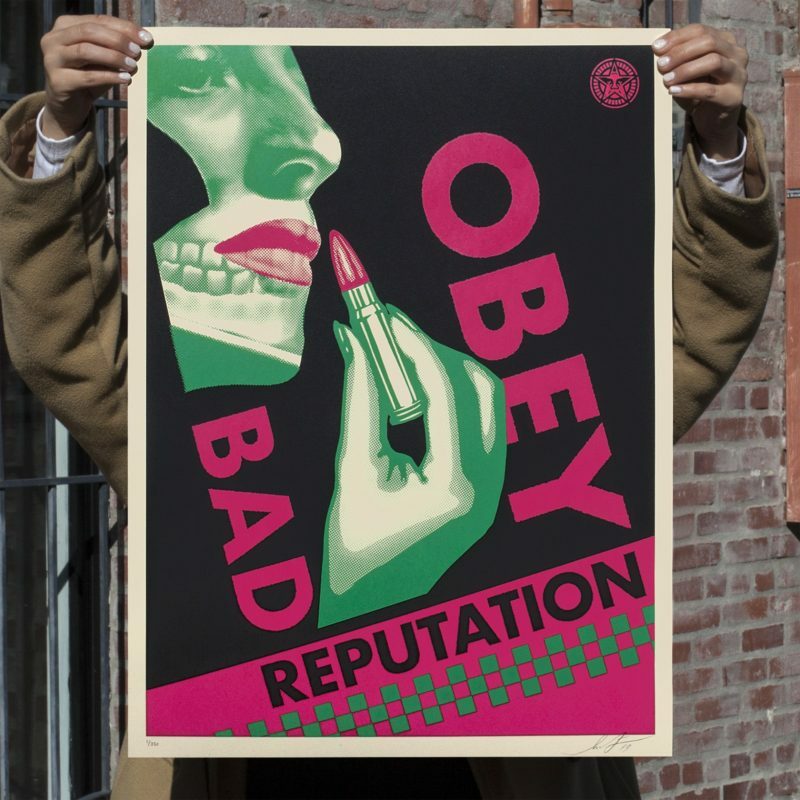 Available Tuesday, January 29th @ 11AM (PDT) on ObeyGiant.com in Store under Prints. Max order: 1 per customer/household. Multiple orders will be refunded. International customers are responsible for import fees due upon delivery.